Been spending quite a few days trying to search for a Sticky/FAQ/Newbie-101 thing but haven't, so here it goes. All my music is on my Macbook in iTunes, I want to get away from relying on that. Basically want to be able to play the same files from the same library using our iPhones and/or iPad. But we would prefer to stay in the Apple infrastructure for streaming (iTunes/Airport etc). First off I need to move the music files off the Macbook. I thought of going the NAS route, but honestly my library is generally pretty static - I don't update it often, and I don't buy a lot of new music (will do that on Vinyl as I just got a turntable). So I don't need a RAID setup. Will just backup manually. A cheap option was to get an old Airport and plug external USB onto that and have your library there? I have setup an RaspberryPi server at another location for Plex. So I feel comfortable in Linux. Possibly plug in external HDD to that and have that be the Shairport server. Pick up an inexpensive a Mac Mini with a few years on him. Buy an appropriately sized USB disk, and a copy of Carbon Copy. Load your music into just files on the new Mac Mini, and setup Carbon Copy to clone the entire disk to the USB disk. If the disk in the Mac fails, you can reliably boot off the USB disk with all your music in tact and playable. That really takes much less time to do than it does to understand. Total investment to this point is probably about $300. Now comes Les the fun part! How you wanna stream that music. 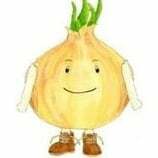 My recommendation is just go with Roon. It will stream to all you I-devices, even simultaneous streams to all your devices. It will read the files on the Mac Mini and probably do a pretty darn good job of cleaning up the Metadata too. It can use AirPlay, but also comes with its own streamer app that is better I think. Anyone who considers protocol unimportant has never dealt with a cat DAC. Roon's own streaming protocol only works with Roon endpoints (can either get a commercial one or setup one with a linux device e.g. RaspberryPi), although an iDevice can be used as a remote control. If the OP is planning on keeping the current equipment, then probably a RaspberrryPi (to reduce expense) is the way to go. A microRendu or ultraRendu may be an option. Another option is to pick up a cheap network player/streamer that uses the DLNA/UPnP protocol (and Airplay for easy use with iPhones). Software such as Audirvana Plus will work in this case. This will be far cheaper than Roon software. Also, there are apps (e.g. mconnect) for iDevices that will stream directly from the device to the network player/streamer (using the DLNA/UPnP protocol or Airplay) or some apps (mconnect) can fetch files from a server and send them to the network player/streamer. Roon's own streaming protocol only works with Roon endpoints (can either get a commercial one or setup one up with a linux device e.g. RaspberryPi). If the OP is planning on keeping the current equipment, then probably a RaspberrryPi (reduce expense) is the way to go. A microRendu or ultraRendu may be an option. Another option is to pick up a network player/streamer. Some are Roon endpoints (some pricey models) OTH, most (including cheaper ones) will stream using the DLNA/UPnP protocol. Software such as JRiver Media Center and Audirvana Plus for Windows will work in this case. Either one of these will be much cheaper than Roon. Oh, Roon server will stream to a lot of different endpoints, as it has the other protocols built in. Including Airplay and Sonus. See graphic below for simple example. A Raspberry Pi is not going to have the power to work as a server, including being able to transcode music on the fly, as needed. While a modest Mac mini will have no issues doing the at all. Oh, Apologies then. I for some reason thought he already had Airplay running, in which case, it would be trivial indeed to put a Roon server in place of the Mac. You could certainly install a copy of Roon bridge on a Pi. My current favorite little trouble free devices are the AWOW PC Stick for about $100 and the uRendu, available for about $500. The AWOW comes with a copy of Windows, just install Roon and USB drivers if necessary, set Roon to Autostart, and it's done. The uRendu is even simpler, plug it into the network, wait a few minutes, open a browser and type in an address. Five minutes to setup for Roon or a half dozen other endpoints. 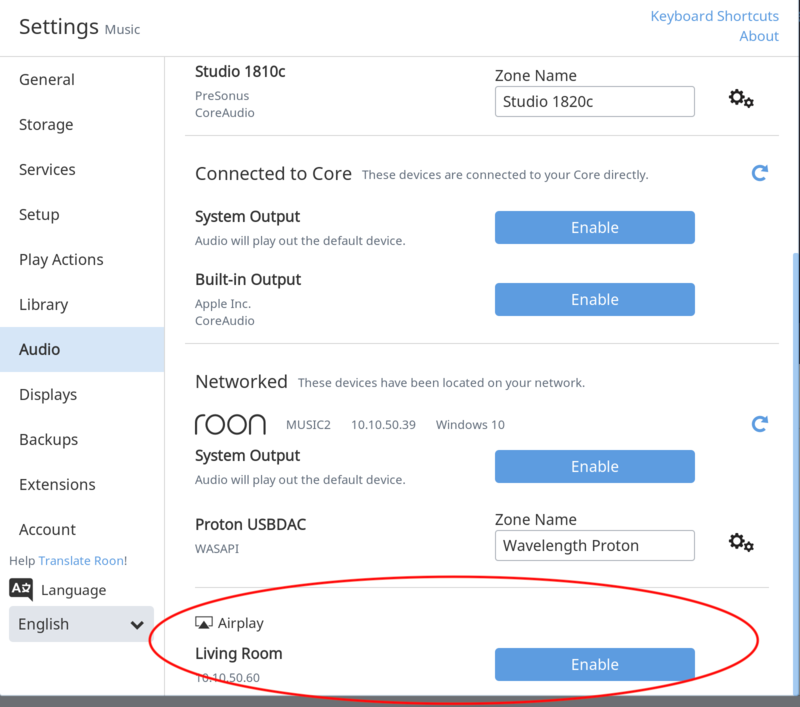 Dead easiest is to get any Roon, Sonus, LMS, or Airplay endpoint and just plug it in. The key though, is to setup a server that you don't mess with, use for browsing the internet, etc. In the process of getting hung-up on an inexpensive solution (RPi3 has positive reviews elsewhere), I hadn't thought about inadequate transcoding power (I've setup an RPi before to serve up videos via Plex and generally works fine after a small buffering window). If going the used (headless) Mac Mini route... I could also go used Intel NUC (which seems to have good reviews - I believe on this site). I like carbon copy idea w dual USBs. As per Roon, I have *never* seen something loved so universally, but I was under the impression that it costs $500, which is almost the entire cost of my whole system, I'm not sure I'm ready to make that plunge. I was thinking Squeezebox (I believe you refer to it as LMS?)... And yes, that device will be standalone, and will not do anything else, but potentially serve video files to Plex (but never at the same time). This could be a promising solution, possibly. Do you have some examples of Names/Models for these cheap network players / streamers? I found an old Airport Express over the wknd, could connect that optical out into the DAC. It also has USB, so I wonder if I could hook up a USB Drive there and then use some player streamer device? Since the idea was to get away from connecting my laptop to my stereo every time I want to listen to music, I wonder if I could use external drive to Airport Express above, and then read the library off that using mconnect or something else you suggest - maybe even off an old iPad mini which doesn't really get much use and sits around the living room. Roon also supports the Google Cast streaming protocol, so the $35 Chromecast Audio (supports hi-res, up to 24bit/96kHz) would be the cheapest streamer/end point option - if you can get hold of one, as it's been discontinued. Plus, the Roon Core server always supplying its built-in audio file player's audio output signal for network streaming, instead of the playlist's individual audio files, dodges the Chromecast Audio's infamous lack of gapless playback support defect. 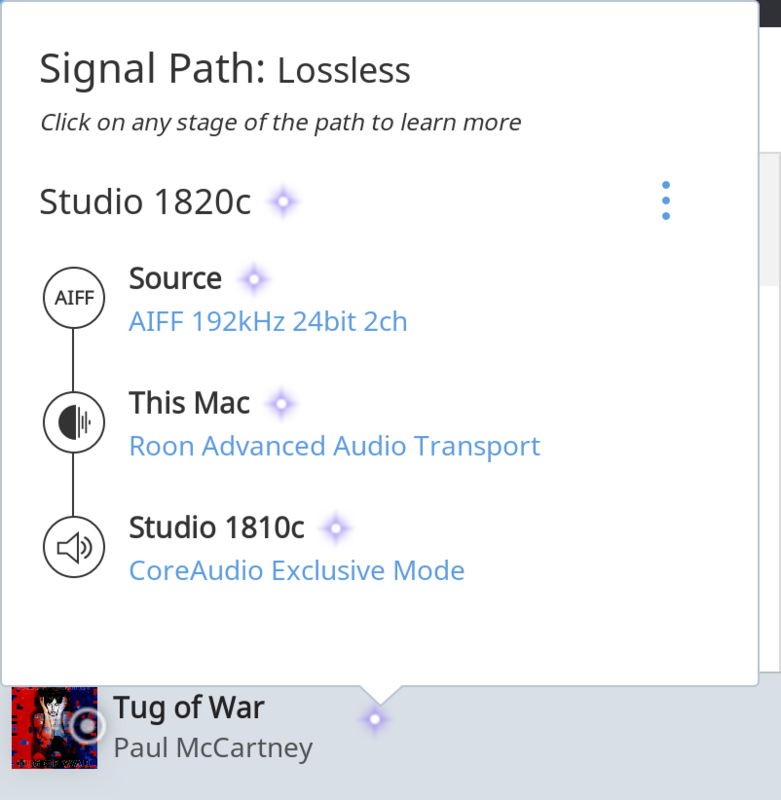 If Roon isn't possible, I'd go for the free Logitech Media Server (LMS) as the network audio providing source, since it supports UPnP/DLNA, Google Cast & AirPlay devices (via an appropriate free third party plugin component), not just the Squeezebox type players it was originally intended for. LMS also comes with a built-in web browser controller. You can run the Squeezelite Squeezebox player emulator software on an RPi. We are far more united and have far more in common with each other than things that divide us. Check out this iOS app .. https://www.stratospherix.com/products/musicstreamer/. I used it for quite some time with music located on a Mac mini and with music stored on an external hard drive connected to the network (via AirPort Extreme router). It's both AirPlay and Chromecast capable. You have several configuration options. For example, you could leave your music on the laptop and point the app to your iTunes library. Or purchase an Airport Express and external hard drive. Very simple and very convenient to use on either iPhone or iPad (the bigger iPad screen is nice though). Even if it could, I wouldn't recommend using it just to host the USB drive's audio files on a networked shared folder. You'd still require another networked device to run the media server software to supply those files to the vast majority of network players/streamers that can't access networked shared folders - which unnecessarily at least doubles the amount of data passing through the network (a possible major headache if your WiFi is not so good), never mind the extra cost consideration of requiring another networked device! The versatile, low cost, low powered, reliable RPi can be used as a 24/7 'NAS', as you can both connect a USB drive to it and run media server software on it. Ah, my favorite thing to do is find really inexpensive solutions. The Mac mini is cheap, and in general, will last you for years. I have one here I would love to replace, and the silly thing just won't die. It's old spinning hard disk is trying to die, so I just boot it off an external USB drive, but... those suckers are tough. But in terms of cheap- any old generic intel box can run Vortexbox. That works as a server, and can play to Appletalk devices (or at least it did last time I looked at it a couple years ago.). It takes more setup and configuration than just throwing a Mac with Roon up, but it is a lot of fun to play with. A $100 PC clone with a 4th generation i3 and 4gb of RAM cn run it very comfortably. In fact, if you have a CD or DVD drive on the clone, it will also RIP your CDs for you. Personally, I think a Mac Mini and investing in Roon is a very justifiable choice. It frees up your laptop, and can run Plex server at the same time. Well, mine does, and it shares the media disk space out for easy access to add new music, as well as test new audio software with. I can use a large library and not have to copy it around that way. Also, I can make the share read only and the audio software under test then has access to the library, but to han You can rent Roon for $149/year, or purchase it one time for $500. There are some discounts I think, just ask me or anyone with a Roon account to look into getting you one of those discounts if you are interested. Oh, and If you are interested in streaming, Roon integrates to both Qobuz and Tidal, giving you access to High Res or MQA music from any of your clients, even your phone. And of course, the Mac would integrate with Apple Music nd iTunes, giving you access to that as well. Apple Music is not yet integrated into Roon, but I think it may be in the future. Especially since Apple has more subscribers now the Spotify. this seems like the most likely option to me, to be honest - will investigate, thank you! Do I spend a little more for something that is very dependable and will perform well, or save money, tinker and do something more customizable (albeit w potential hiccups/glitches). Somehow everything seems to come down to a Mac vs PC(others) debate at the end. I used to repair computers in a former life, and feel very comfortable swapping out the HDD for SSD in a Macbook Pro (done this few times) and have a already setup an RPi / Plex server (which I presume would be considerably more work than setting up an Intel or Mac based headless/standalone one). I only bring that up, cause at the end of the day, even though I *could* potentially do it, doesn't mean I want to spend my weekend downloading updates/patches and trying to troubleshoot things. I would rather it just work for me. And if I'm not home then my gf (who initiated all this with a request to be able to play music easily, preferably from streaming service if not from my itunes library - and she's far-from-needing-lossless)... and she's def not one to rshell in as root somewhere. There was another chain on here which spoke very highly of the Intel NUC along w NON-SSD Drives (go figure)... given almost similar prices between Intel NUC and a used Mac Mini, i would normally go with Mac for reliability (and as you state, un-kill-ability)... btw, is the drive in your mac mini not replaceable? Sincerely appreciate the discount offer, still don't see Roon in the cards. Truth be told I would rather put that $500 towards something like new hardware (that could potentially make an audible difference) than software that would be better at parsing metadata and provide a good UI. I would never - you don't know how grouchy my wife can be when she wants to listen to music and something "doesn't work." The Mini holding the music is a late 2012 2.5ghz i5. Nothing special, but one of the ones they made getting to the drive a PITA in. More of a PITA than I am willing to go through just to replace a drive. I stuck a 256gb SSD on the USB bus, and it boots very happily from there. I want one of the new 6-core i3 minis to replace it, but it would just be wasting money until it finally kicks over and dies. Best $600 or so I remember spending in a while. Well, at least since 2012 when I bought it for a music server. P.S. Don't underestimate the sound quality of Roon by the way, if you were playing from a Roon server to your MacBook, the MacBook would probably sound just as good - or better - than it does now. Streaming really helps the sound quality in this case. would a 6-core i3 add much in terms of serving up music, or is this more for the Plex/video side of things ? or does this have to do w using 24/192 or higher-res files? To be honest, it would not add anything at really. The i5 has more than enough muscle to handle all the server tasks thrown at it, and then some. It has never even come close to chewing through the 8 gigs of RAM either. The i3 might shave some milliseconds off response time, but mostly, it is just techno-lust. Let me see, how could I take over the world with six more cores??? So far as I can tell, Roon doesn't have a house "sound", it just seems to take on the chracerisitics of whatever end point it playing from. Playing on the same computer using the Roon player, it sounds a lot like JRMC to me, but we are talking very very small differences. My library is predominately AIFF, which a few FLAC and ALAC files thrown in just because. (Because I was too lay to transcode the music when I aquired it, or else I didn't care the much about it. Roon will eat it all. It does sound very good to me, whether coming out of computer speakers, the main system, the secondary system, iPhone iPad, Peachtree, upend, Linux, Windows, etc. For example, this is playing back a needle drop through my audio interface. Sounds perfect to me, exactly what I recorded. @abulr there are plenty of good options at every price-point for you to look at. Truth be told I would rather put that $500 towards something like new hardware (that could potentially make an audible difference) than software that would be better at parsing metadata and provide a good UI. For the same price as a Roon lifetime subscription you can pick up a Bluesound Node 2i. It's well-reviewed, easy to set-up and use, nice app for control, WiFi or ethernet connections, support for lots of streaming services, can connect an external USB hard drive or thumb drive, NAS support, AirPlay 2, sounds good, and is even a Roon end-point if you ever decide to go down that road. Roon is the darling of the audiophile world (rightly so) but expensive. Great for large libraries and Qobuz/Tidal integration. I gave it a trial and passed. I liked it BTW, I just don't need it. i presume it does *not* sound perfect if you play the same file using something other than Roon? p.s. main reason for this self-imposed budget is that i've rediscovered my love of listening to music thanks to a new receiver and new space (just moved two months ago)... i would hate to update and go "all out" and then get tired or not listen to much at home anymore. if i find myself getting more and more into it i would reassess and happily spend a bit more. which leads me to the first part of your equipment listing / signare. Why do people love the urendu so much? What is different about their hardware vs say other PCs etc (if it's a small form factor PC?)... and for similar price, why would I choose Bluesound over Sonore? Why do people love the urendu so much? What is different about their hardware vs say other P﻿Cs etc (if it's a small form factor PC?)... and for similar price, why would I choose Bluesound over Sonore? Because the Rendu's sound fantastic. The Rendu products are Ethernet renderers built for audio, not a general-purpose computer. Sonore has a forum section here where you can read all about the designs etc. (and plenty of more knowledgeable folks than I to help you out). Actually, I replaced my Bluesound Node 2 (previous generation) with a microRendu, which proved to be a wonderful sonic upgrade for my system. I had the Node 2 for 2.5 years or so and now use it in my work system .. I still like it a lot. Realize they are vastly different designs and implementations. The microRendu, for example, is Ethernet-in / USB-out, and has no on-board DAC. The Node 2i is Ethernet-in or WiFi / SPDIF-out, and has an on-board DAC, thus RCA-out as well. For the microRendu I use Asset UPnP for the library and either mconnect or BubbleUPnP Android apps for control. The Node 2i uses their own proprietary BluOS and companion app, which work quite well. Like everything in audio, it's about your needs/wants. Well, it may sound different, but Roon isn't really playing that. It would sound different because at a minimum, it is going to a different DAC. More likely, it is going to a different computer and a different DAC. What's actually playing the music in that screenshot is the DAC in my PreSonus 1810c. Roon is just delivering the information to it. Okay, technically, the Roon software running on my Mac (i.e. the Bridge part of it) is noting all the audio interfaces attached to my Mac and their settings, and all the network interfaces published on the network, and making them all available for the Roon server to stream to, just like a application level network switch. Which, is what Roon actually is a software implementation of. So the Roon server is commanded to stream to the particular interface, notes that interface is serviced by my Mac, and routes the network stream to hear. Then my Mac is responsible for sending the network stream over a USB-C interface to the DAC. Would work the same if I have the Proton attached, and iFi DAC attached, or any other DAC attached. For example, when I want to stream DSD to the PeachTree Nova 150, which has a most excellent ESS DAC inside of it, the Roon server looks up where the Peachtree is attached, notes that the controller for it (i.e computer) is a micro Rendu and routers the traffic there. It doesn't really know the the micro Rendu is attached to the DAC via USB, but through the microRendu, it interrogated the DAC and knows exactly what formats and resolutions the DAC will accept. So, for example, when I want to send DSD128 music to the Peachtree, Roon notes that Peachy will happily consume DD129 formatted music files all day long. When I want to play the same much in my bedroom, it hits a Wavelength Proton. Roon notes the Proton only accepts up to 24/96kbs, and seamlessly and without me taking any action, transcodes it to 24/96. There is sometimes a second of delay before the Walvelenght Proton starts playing the first song. Of course, they all sounded different in the same way they usually do, but to the best of perhaps limited ability, the playback was always at the best quality of the destination device. I don't think that Roon changed the sound at all. Hope that helps a bit. Can't imagine why I never did the before. The latter one is really nice but a little more expensive than the first three. If you wanted, you could store the music on your iPhone or iPad and stream it to one of the players noted above with the mconnect media player app (DLNA/UPnP) or without the mconnect app, you could simply use Airplay. Yes indeed. If I ever get around to opening it up, the drive will just get disconnected and depowered. Don't really need it anyway. External boot is easier, and much faster to change around should the desire hit you. Of course, external storage for music files is always recommended. You do need 3rd party software these days to combine the drives into a RAID-1 for backup though.